With the change of seasons coming in Lake Oswego, you might begin to notice that your roof doesn’t quite hold up the way it once did. If things are looking really bad, you may even be thinking that it’s time for a new roof installation in order to avoid any leaks or any other issues that might pop up down the line. While you might think that putting it off until your roof starts to actually leak would be the smart choice, that just means you’ll have to pay more to repair it. By the time failures start to become noticeable, the structural damage has already occurred. You should not only fear permanent damage, but there’s also the benefits of getting a new roof. It’s a great investment for your own property, modern roof designs are beautiful, and technological advancements mean they’re built to last. While preparing for your Lake Oswego roof installation, there are various things you can begin doing before hand to make sure the process is as smooth as possible. Before even deciding that you should get a new roof, you should always take a minute and think about what it is you really need. Sometimes it might just be a leak that needs some fixing, and not the whole roof that needs to be changed. No matter what might be the size of the job, if you live in the Lake Oswego or Portland area be sure to contact us, and our roofing contractors will maintain open communication with you about the state of the roof, and the best way to maintain it. 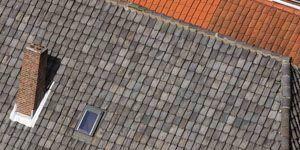 Once you’ve decided that you need to change your roof, make sure to get an idea of what it is that you want to be done, and what you’re willing to pay for. The size of your roof, possible materials to use, number of rafters, every single detail that you can know about in advance will make your life easier. If you’re unsure about where to get most of this information, possible prices or any other doubts that might come up, just give us a call. We’ll give you a free estimate on the project and provide you all of the info you’ll need to go ahead. At the end of the day, if you fail to plan, you’re planning to fail. As silly as it might sound, a common mistake we see is that the surroundings of the house are not properly cleared. Cars, toys, even things that are on your patio like grills—everything that is commonly found near your house—all of them should be moved to a safe place. Satellites can also prove to be problematic during installation, so consider calling your cable provider in order to move it while the roof is being installed. For the landscaping and flowerbeds near your home, you should take the necessary steps in order to protect them from dust. Covering them with tarps or some kind of plastic is helpful. Hanging plants should also be removed during the installation process. While we take care to avoid debris during the job and to assure proper cleanup, some nails might end up falling into the grass. Searching for them in long-grass is a difficult process, so cutting up your grass to a short length before the work begins will greatly help the clean-up effort. This extends to more than just household objects, but also for children or any nearby pets. The noise can easily disturb or scare them. Add to that the fact that construction materials can pose a hazard for children if left without care, so we recommend keeping kids indoors while the job is being done. More often than not, changing a roof is going to have some debris or other unwanted side-effects, so clearing the area around the house before the crew arrives means that all of your belongings are safely stored and secured, and you won’t have to worry about the cleaning job afterward. No matter the effort put in, roofing is always going to be a somewhat dusty and messy job. Any valuables or heirlooms you might store in your attic should consider a new, safer spot until the job is complete. Certain items might be too heavy and bulky to quickly take out of your attic, and in these cases, you should try covering them up. A plastic sheet or some cloth should be enough to protect them from any dust or debris that might otherwise come falling down. While we always do the best to keep dust and noise levels as low as possible during a new roof installation in Lake Oswego, the work tends to cause strong vibrations that might end up shifting mirrors or photos on walls. To avoid any unwanted cracked mirrors or fallen photos, you should try to temporarily remove hanging frames or mirrors—especially those stored on the upper floor, where the vibration is going to be strongest. Perhaps just as essential and important as any of the other tips, being a good neighbor can mean a lot. By doing this small action and warning them that you’re replacing your roof, they’ll take the necessary steps to avoid being in the way and will greatly appreciate the info. This goes double if they have any pets or children, as they’ll be able to take care of them and avoid any noise and disturbances that arise from installing a new roof. The last tip is perhaps the most important we can give you. No matter how much you might have prepared, if you’ve cleared all the yard of any belongings, taken the time to warn your neighbors, or cleared up your attic—not having someone doing quality work, without experience to show for it means that everything else was for naught. That’s what matters most, and that is why Pioneer Roofers has spent 20 years bringing quality work to people all over the Lake Oswego, Beaverton and Portland areas. 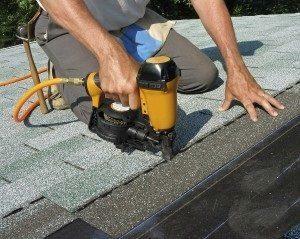 Give us a call and join the ranks of happy homeowners who love our roofs.